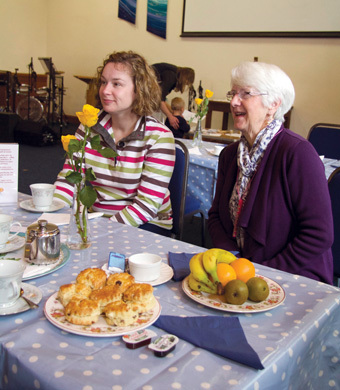 The Connection is our twice monthly get together where you can come, without feeling pressured, to have a cup of tea or coffee and a cake and a chat with our friendly team of people. The church is open on the second and last Saturday of every month between 10.15am and 11.30am. You will be made very welcome, so why not come along for some fellowship ~ there’s always a friendly face and someone to listen​.